1. The republican annual competition of scientific-research works of students by natural, technical, socio-humanitarian and economical sciences at universities of the Republic of Kazakhstan (hereinafter referred to as SSRW) is conducted annually by the Ministry of Education and Science of Kazakhstan on the basis of higher educational institutions. 3) contribution to formation of intellectual potential of the Republic of Kazakhstan. 3) The third (final) stage – the Republican. 4. The duration of the I stage (at university) is determined by order of the rector of the university from October to January 1, II stage (at basic universities UMC) from January to April 1, III stage (Republican) from April to June. 5. 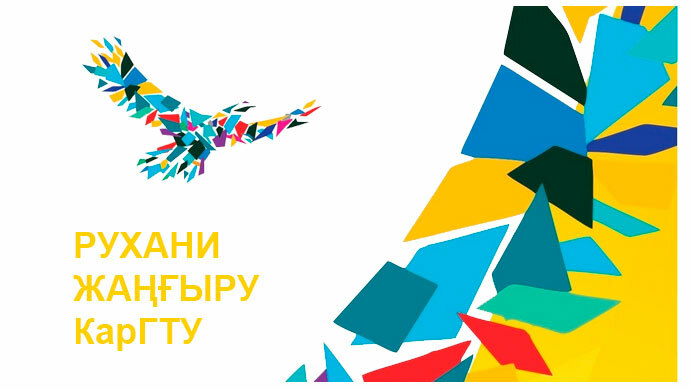 Students and student groups of higher educational institutions of the Republic of Kazakhstan can participate in SSRW. 6. Self-consistent completed research works of students by priority directions and topical issues of natural, technical, social, humanitarian and economical sciences are presented for competition of SSRW. 7. The republican commission on organization and conduction SSRW competition realizes direction of SSRW competition. 8. Students of the higher education institutions by natural, technical. Social-humanitarian specialties of higher education by presenting of scientific communities or scientific supervisor can take participation on the I stage of the SSRW competition. 9. Rector (pro-rector) of the university organizes competitive commission under the relevant sections of the competition, including representatives of the leading scientific organizations, enterprises, local authorities. 10. Competition Commission of the university has the right to organize the section with participation of the scientists of appropriate profile, to assign overview of works with subsequent submission to commission reviews to the individual institutions, departments and specialists of universities and research organizations. 11. The scientific works of the students by sections of the competition in required order pass review by the third-party organizations. These reviews are attached to the report of the competition committee of the university. 12. By results of the I stage of the SSRW competition (at university) competitive commission of the university confirmed by rector’s order selects and directs the best scientific-research works of the students to EMS of the basic universities on competitive base for participation in the II stage of the competition. Deadline of work presentation is fixed by post mark. the competition, which registered by record(Appendix 3). 14. The first copies of the students’ scientific works are presented to SSRW competition. The scope of work shall not exceed 20 – 40 pages. Restrictions on the scope of work in the direction of its increase may change by the basic institutions of sections of the competition. Presentation of models and natural artifacts are not allowed. The accompanying drawings to the work and illustrations should be arranged on sheets of standard size. Acts (copies of acts) on implementation the results of scientific work, copies of patents, scientific articles may accompanied to the scientific work. Theses, term papers and projects may be submitted on the competition if they have a scientific novelty, or plans to introduce their results in the production or in the educational process. 15. In a separate sealed envelope submitted information about the author (s) and the supervisor (s) of the work as well as a letter signed by the rector (pro-rector) on the result of the first round of open competition or a decision of the Academic Council of the university on nomination the work to the SSRW competition. In that case, if the work is done by a team, a list of authors is presented in accordance with their personal contribution. 16. In case of submission of work with violation of these Recommendations, competitive commission of the university has a right to reject these works from the competition (compulsorily with the reasons of rejection). 17. Competitive Commission of the basic university at a meeting of EMS makes decisions by open voting with a majority vote of the presence at the meeting not less than two thirds of the commission. With an equal number of votes the chairman’s vote shall be decisive. 18. In nominating the best scientific works of students to participate in the III stage of the competition EMS of the basic university sends till April 2 to the Republican committee of the Ministry on the relevant section of the competition, which is registered by the record of EMS meeting (Appendix 4), signed by all its members. of competitive works of scientific section. Kazakhstan of III level (no more than three works). 21. The decision of the Republican committee to determine the winners of III stage of competition is issued by the relevant record, signed by all its members. 22. 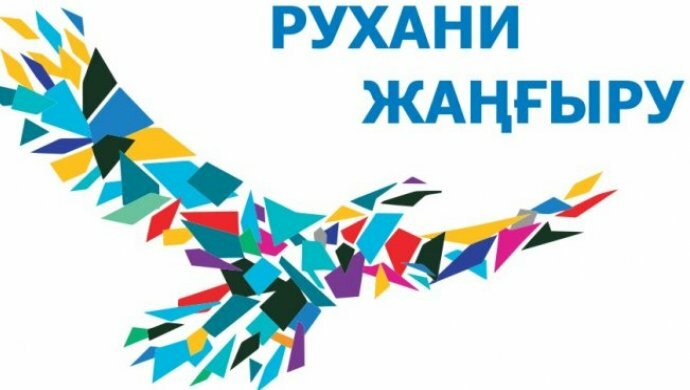 The results of the republican competition of the scientific-research works of the students are confirmed by the order of the Ministry of Education and Science of the republic of Kazakhstan on the base of record decision of republican commission. 23. The scientific works of students submitted to the competition will not be returned. 24. Winners of the republican competition for the best scientific-research work of students who have taken 1, 2, 3 places, based on the order of the Ministry of Education and Science of the Republic of Kazakhstan are awarded with diplomas of the Ministry of I, II, III degree. 25. The Head of higher education institutions can take steps to encourage students – winners of the first, second and third stages of the competition at their own expense of the university. Cash award is established in the year of the award, based on available funds, but at least the size of scholarships. Cash prize is with co-author of team work is paid in equal share. For the 3rd place – diplomas of the Ministry of Education and Science of the Republic of Kazakhstan of III degree (no more than three works). 27. While admission to master achievements of the students-winners, specified with SSRW competition diplomas are considered by admission committees. 28. Supervisor, under whose guidance the students made at least three scientific papers, award-winning, is awarded with diploma of Ministry of Education and Science of the Republic of Kazakhstan. 29. As a result of the republican competition SSRW, the Republican Commission holds selection of candidates, the winners of the contest who won the first place for participation in international competitions of research projects of students. 30. Ministry of Education and Science of the Republic of Kazakhstan on presentation of the Republican committee in conjunction with the Republican scientific-practical centre “Daryn” appoints scientific advisor and head of Kazakhstan’s national team to prepare students and support them to the international competition of student research projects. Scientific supervisor is responsible for the level and quality of the team preparation. The Head of the team is responsible for the lives and health of team members. 31. Republican scientific-practical centre “Daryn” provides processing of travel documents and travel funds of members and team leaders from funds allocated from the republican budget. 32. Funding of the I stage of the competition are provided by appropriate higher education institutions, including postage expense for the next stage. 33. Charges of the II stage are carried by the competition of the basic institutions (EMA), the list is approved by the Ministry of Education and Science of the Republic of Kazakhstan (Appendix 5). 34. Charges of the III stage of the republican competition is realized on the expense of the facilities devoted by the republican budget. 5. Scope of work: ________p. 6. Number of appendix: ______p. 7. Number of illustrations: _______p. 8. Number of tables: ______p. № __________ in the amount of ______________ people. Commission of the meeting was attended by __________ people. Then the list of the works with indication of the author (s), higher education institution , scientific supervisor is presented.